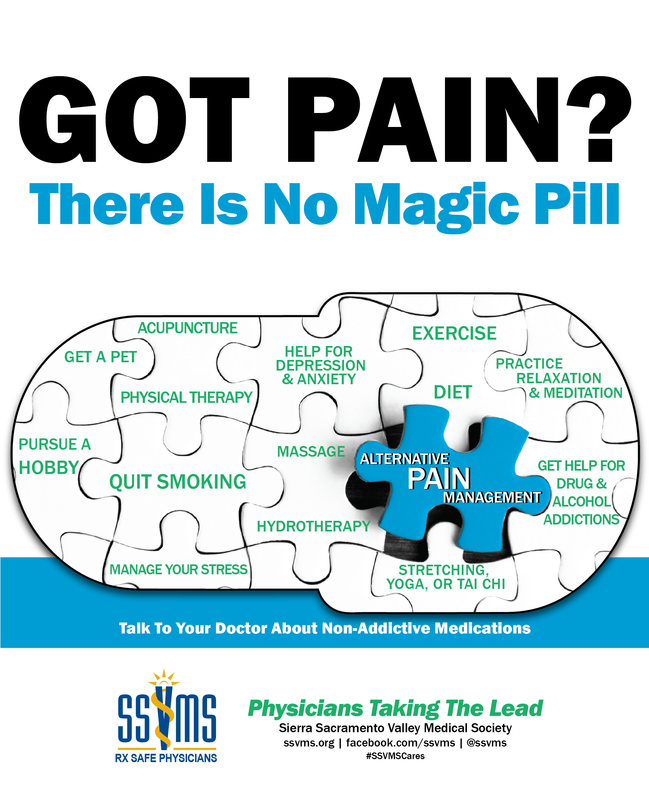 The Sierra Sacramento Valley Medical Society and the Sacramento County Opioid Coalition have launched a patient-education campaign, “Got Pain? 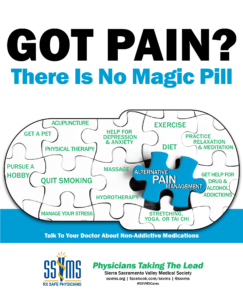 There is No Magic Pill,” to promote complimentary methods of pain management within the Sacramento, Yolo and El Dorado County Regions. Alongside the Got Pain? posters, which are hung in pharmacies and primary care facilities throughout the Sacramento Region, a local resource guide was developed to help connect people to care.